I don’t know why I haven’t shared this with you before. I was telling a friend about it and realized it would be a great thing to tell ALL my friends about. I apologize for not sharing it sooner, because if you have a child who sometimes misbehaves, this could just be the sanity-saver you need. And if you don’t have a child who sometimes misbehaves, you must not have any children. I cannot take credit for this idea. I learned about it almost 10 years ago, when I worked at an afterschool program for K-6th graders in college, with this amazing friend as my boss. This spring, I decided to try using this system at home. I scribbled some crayon on a piece of paper and then cut off the sides to make a rainbow striped piece of paper. Then, I painted an “A” for Adam on a simple round magnet, and Boom! I had a new system to monitor behavior! Adam started on green everyday after school. He had the chance to move up by doing certain chores or if I “caught” him being good. He moved down for various misbehaviors, too. He and I sat down and listed the biggest misbehaviors I’d be watching for. This helped him identify what I wanted to see from him. Adam earned or lost privileges depending on what color he was on. For example, purple meant he could watch a superhero tv show. Yellow and orange meant no TV and red meant no computer games. We also discussed these ahead of time. It’s important that there is a “reset” time that is consistent everyday. At the afterschool program, we started at green every afternoon. At home, you might start at green every morning, but since bedtime was/is a tough time for us, I needed to have consequences for misbehavior then, so whatever color Adam was on when he fell asleep carried over to the next morning. Instead of “resetting” to green in the morning, we did it after school. You can adjust this system so it works best for you. One of the most important things when dealing with behavior challenges is to have a system in place to guide your response. Consistency and following through with consequences can be tough, but a simple system like the Rainbow Chart helps you and your child (or student) know what to expect when misbehavior occurs. Plus, it also encourages positive behavior. Like this post? Pin it! Then check out Squaw Creek on facebook! Well, technically, summertime is a more fun time, but that just doesn’t have the same ring to it, now does it? We’ve been so busy this summer, but most of it has been so FUN! and played a bit at the arcade. And on the 4th of July, we played with friends. See? Summertime really is a funner time! 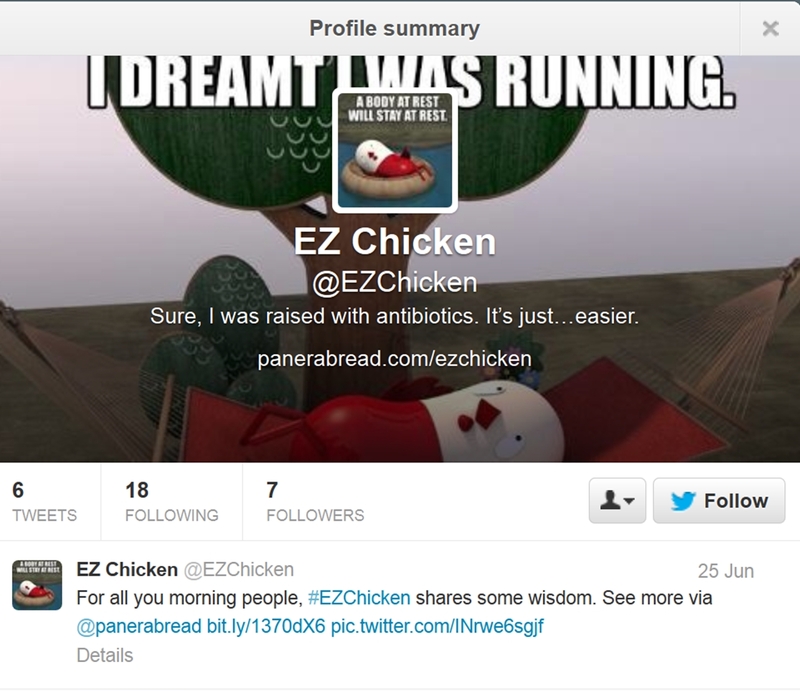 Panera has recently switched to antibiotic free chicken. While I don’t agree with their decision to go antibiotic free, it doesn’t bother me too much. What infuriates me, then? The advertising campaign that goes along with it. 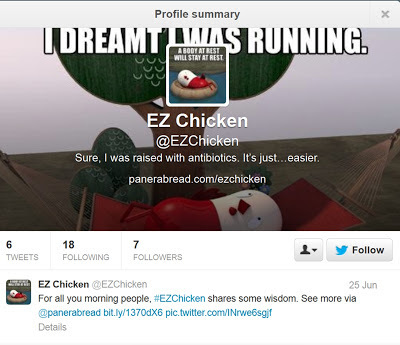 The EZChicken campaign clearly sends the message that farmers who use antibiotics are lazy. Puh-leaze. My farmer is lazy because he gives our poultry antibiotics when they’re sick? That makes him LAZY? Farmers, like my husband, work 7 days a week to keep their livestock comfortable and healthy. They work in all kinds of conditions, from blizzards to extreme heat. These farmers often work early mornings, late nights and even check on things in the middle of the night if needed. In addition to the manual labor and time in the barns, farmers are also business managers who have to manage the finances of the farm and they spend countless hours learning the best new management practices and technology. The decision to use antibiotics is made carefully, with the guidance of veterinarians and decades of research. The decision is NOT based on laziness or a fear of hard work. And there are many safeguards in place to make sure that antibiotic use on farms does not negatively affect your food. Antibiotics have strict withdrawal times (the amount of time it takes for the medicine to leave an animal's body) and flocks are tested for antibiotic residues before they go to market. As I've said before, decisions about animal care should be left to the experts - farmers and veterinarians and scientists that work with them. But as much as I disagree with Panera's choice of antibiotic free chicken, the real problem here is their portrayal of modern farmers. We should be thanking our farmers for doing one of the hardest jobs in the world, not calling them lazy because of well-informed decisions that promote animal health and welfare. If Panera's new advertising methods make you angry, let them know! Leave a comment on the Panera Bread facebook page and share my blog posts about antibiotics so that all those Panera fans know the truth about their shady advertising. I blog on blogger, but use a program called Windows Live Writer to actually write my posts. It makes it sooo much easier and I've been using it for a couple of years. Well, just over a month ago, my laptop finally bit the dust, so I upgraded to a new one with Windows 8. Windows Live Writer (blog writing program) doesn't work on Windows 8. There is supposed to be a "What-you-see-is-what-you-get" blog writer someone on Windows 8, but I can't find it. Microsoft Word can supposedly connect to a blog account but I can't get mine to work. I've tried other blog writer/editors and don't like them, so I'm just having a terrible time getting something onto my blog! When things slow down next month (didn't I say that would happen this month? How come it never works the way I expect?) I'll be switching to wordpress. But until that happens, does anyone have a desktop blog editor that they actually like?